With Fall kicking off on a fabulous note I've been on the hunt for this season's must haves for my closet. Which actually comes at a perfect time with the birthday heading my way next week. Clearly this is a two birds, one stone kind of moment. Now, I've found myself partial to playful head wear, statement accessories and my personal favorite, swing dresses this season - but I've made a little room for a few additional draped pieces. 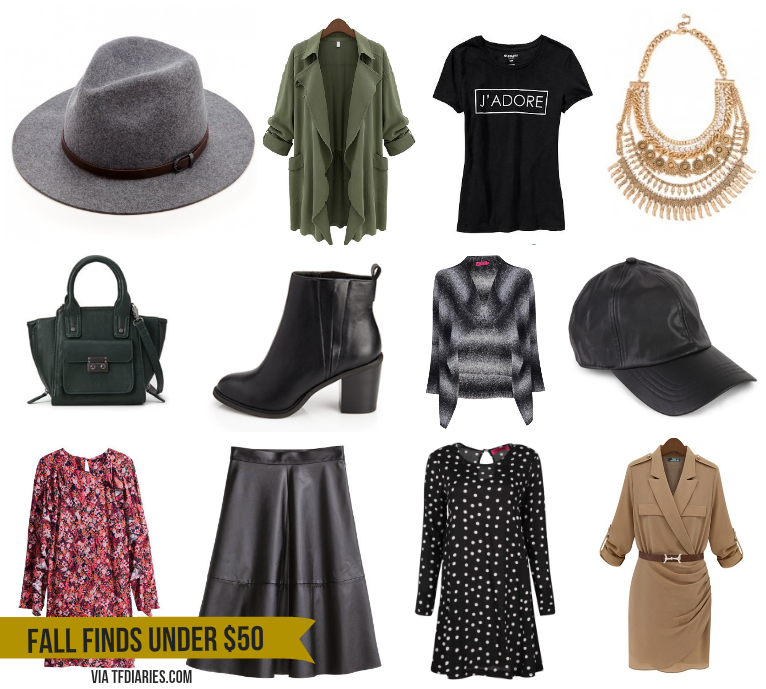 All under $50, naturally. That statement necklace is a steal! That leather midi skirt is PERFECT!